We do not accept any organic jewelry (stone) back unless jewelry is damaged in shipping or there is an error on our part with your order. · If you find a stone that you would like in a size that is not listed, please let us know and we will see what we can do. · There is no guarantee that the specific stone and size you like will be in stock, so we recommend that with your purchase you include a second and third option in the comments box if you want to receive stone jewelry rapidly. If you list alternative jewelry options please list the title of the jewelry exactly as it is listed online as well as the size you would like to receive. We will contact you to let you know what is readily available out of the options you’ve selected. 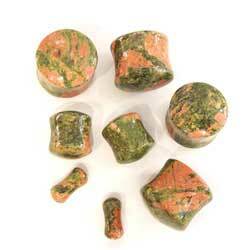 · Large gauge stone (1/2"+) can be heavy which may result in them falling out unexpectedly. This also depends on the type of stone you are interested in. 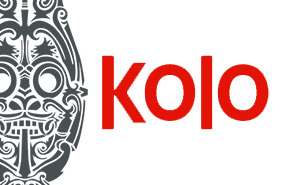 Please feel free to e-mail us at ben@kolopiercing.com if you have any questions about a specific stone. · Stones do not react the same with everyone. On rare occasions people have allergic reactions to certain types of stone. If you do have a reaction to a type of stone immediately remove the jewelry, signs of a reaction include itchiness, burning, swollen lymph nodes, blistering and lymph discharge. It is not reasonable for us to predict nor are we (Kolo Body Arts Inc.) liable for any reaction to stone jewelry. · Some stones can be autoclaved, but not all.